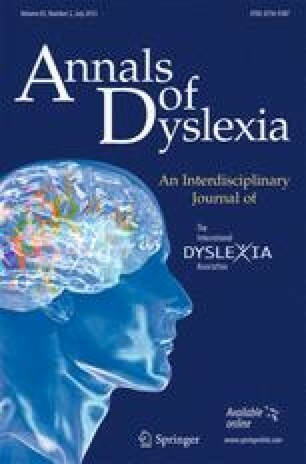 To investigate how, when, and under what conditions individuals with dyslexia manage to develop high literacy levels, an interview and literacy assessment study was conducted with 60 highly successful men and women with dyslexia and 10 peers without dyslexia. The sample with dyslexia included a Nobel laureate, a member of the National Academy of Sciences, and leaders in a variety of fields requiring extensive reading (i.e., medicine, law, business, and the arts and sciences). For both males and females with dyslexia, interest-driven reading was key to the development of high literacy levels. Results showed distinct groups of successful professionals with dyslexia: a compensated group and two partially compensated groups. In each group, literacy development was augmented by avid reading in a content area of passionate personal interest, along with systematic phonics instruction. Through avid reading on a specific topic, the individuals with dyslexia developed knowledge of the specialized vocabulary, typical text structures, concepts, themes, and issues of a particular field. Extensive reading about a favorite subject enhanced the background knowledge of these individuals and enabled them to gain reading practice, which in turn, fostered the development of reading fluency and increasingly sophisticated skills. Although topics and genres of personal interest varied, fascination with a subject area was a common theme among those interviewed. In the literacy assessment, the 60 men and women with dyslexia demonstrated most of the salient characteristics of Chall’s (1983) Stage 5, the highest level of reading development. All participants comprehended sophisticated text, but some, with partially compensated dyslexia, showed continuing lags in basic, lower level “print” skills. Individuals with partially compensated dyslexia fell into two groups: one group showed specific deficits only in spelling, whereas the other group had difficulty in spelling, word recognition, and oral reading. Many, but not all, of the participants with dyslexia showed ongoing lags in reading rate. Gender differences were most apparent in topics of personal interest reading and in mentoring patterns. The study explores how adults with dyslexia, who may continue to lack strong integration of lower level “print” skills, succeed in constructing higher order “meaning” skills. This analysis underscores the need for a balanced approach to literacy instruction that includes both “print” and “meaning” aspects. It emphasizes the need to integrate solid interest-based approaches as a centerpiece of instruction.